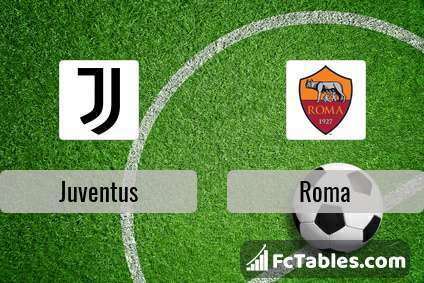 Kick off Juventus-Roma in Serie A on today 19:30. Referee in the match will be Davide Massa. Team Juventus is at the top place in the table (1 place). In 5 last matches (league + cup) team gain 15 points. The best players Juventus in Serie A, who scored the most goals for the club: Cristiano Ronaldo 11 goals, Mario Mandzukic 7 goals, Blaise Matuidi 2 goals. Players with the most assists: Cristiano Ronaldo 5 assists, Mario Mandzukic 2 assists, Blaise Matuidi 1 assists. 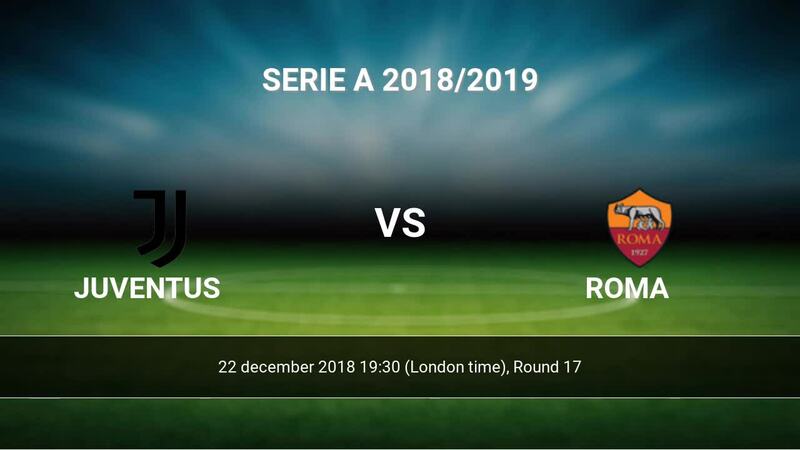 Injured players Juventus: Andrea Barzagli, Juan Cuadrado, Joao Cancelo. Team Roma is located in the middle of the table. (10 place). Last 5 games (league + cup) finished balance 8 points. From 4 matches away can't win a match. 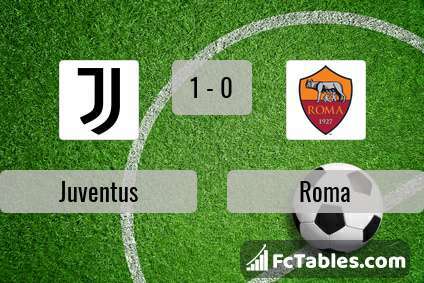 Roma has not been defeated from 3 matches. The best players Roma in Serie A, who scored the most goals for the club: Stephan El Shaarawy 5 goals, Aleksandar Kolarov 4 goals, Bryan Cristante 3 goals. Most goals developed: Stephan El Shaarawy 1 assists, Aleksandar Kolarov 2 assists, Bryan Cristante 2 assists. Injured players Roma: Stephan El Shaarawy. Direct matches: Juventus won more direct matches. 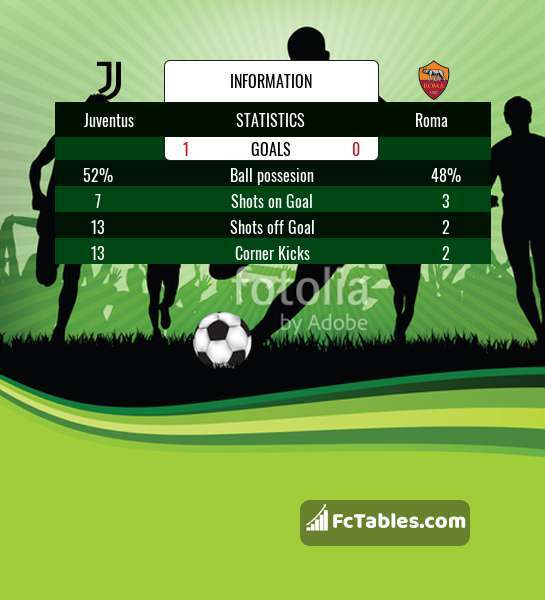 Juventus won 22 matches , Roma won 9 direct matches, was a 12 draws. In 21 matches the sum of the goals both teams was greater than 2.5 (Over 2.5), and 31 matches teams scored more than 1.5 goals (Over 1.5). In 22 matches the both teams scored a least one goal (Both teams to score).